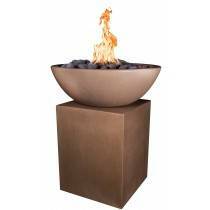 Complete your concrete fire bowl showcase with one of our stylish concrete pedestals. Feature your fire bowl and add value to your design by choosing from a variety of classic, modern, and elegant pedestals. You can opt for round or stackable square pedestals in several sizes, or you can decide on our specialized Tuscany, Sonoma, or ledge stone styles. 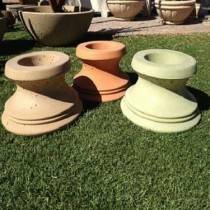 Like our fire bowls, all pedestals come with a core in the middle, ready for installation of gas, plumbing, and electrical lines. Match the color of your concrete pool fire bowl, or choose another accent color from our palette for your pedestal. All of our outdoor concrete pedestals are easy to place and stack, making them a perfect element for a completed look and feel to your fire feature design. Take a look at our options to start building your dream today! 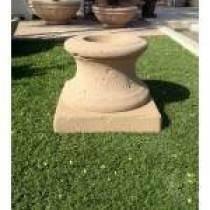 These pedestals go great with our Copper Fire Bowls too!